Breath of the Wild hasn’t even been released, and Nintendo is already sharing concept art from the game. A few days ago, this picture of two different Link designs was posted to Zelda‘s official UK Facebook page. 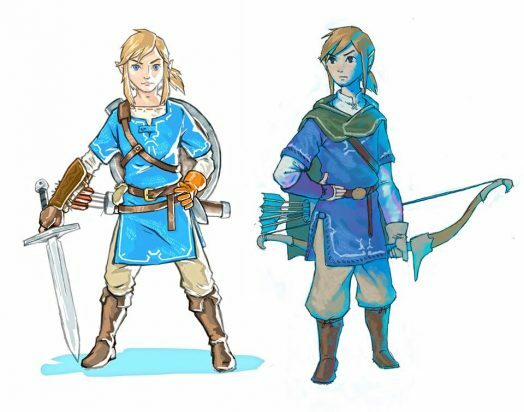 The picture shows two different designs for Link, one more akin to Link’s final version in the game, and another one that is more reminiscent of that concept art for adult Link from The Wind Waker, with more toony eyes and hair, and shorter legs. Could this be another indication that this game happens after the flood recedes, as is speculated by some timeline theorists? 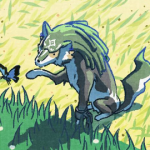 I’m just teasing you guys now, but it’s great that we get to see Link’s design stages so early already. Breath of the Wild is expected to release sometime next year.